Eighteen years ago, on this day - Monday, 25th September 1995, I was working for Nirula's and I had taken a day off. I was waiting very anxiously for this day for more than a week now. 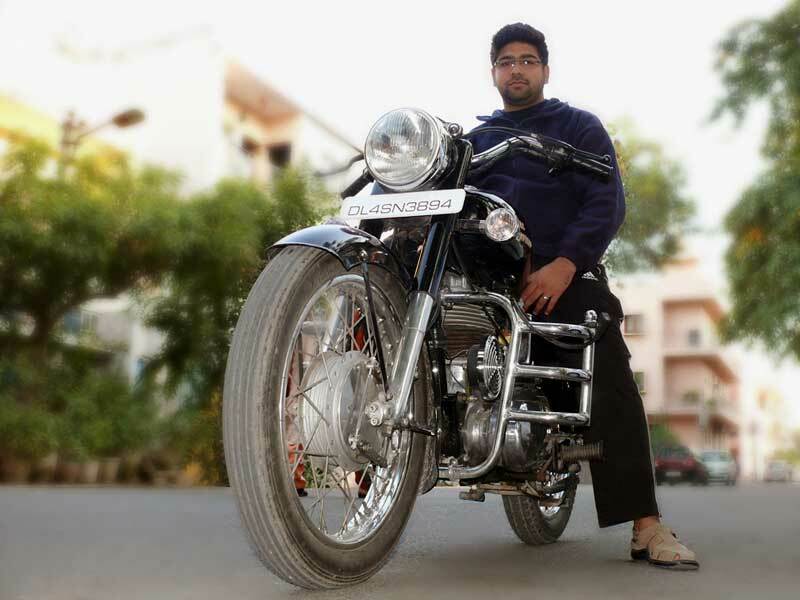 In the morning went to Karol Bagh with my Dad to take the delivery of my my Bullet. Now two days of weekend don't seem enough for doing all that one has to do but back then, on Sundays - the only weekly off, I used to spend so much time cleaning it. Eighteen years later, the Bullet looks just as new as it used to when I bought it courtsey Bharat who got it restored last year. For those of you who have owned a bullet would know owning one is nothing less than a love affair.